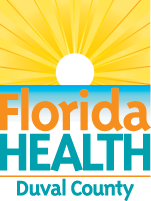 The Florida Department of Health in Duval County (DOH-Duval) initiated a new community health improvement process in 2016. Local public health system partners came together to complete the Duval County Community Health Assessment (CHA) and to oversee development and implementation of the 2017-2022 Duval County Community Health Improvement Plan (CHIP). A CHIP is a strategic plan to address public health priorities in a community and defines how DOH-Duval and public health system partners will work together to improve the health of Duval County. Critical sectors invited to join the Healthy Jacksonville Committee included local hospitals and health care organizations, local government, community based organizations, social service organizations, and schools. The Healthy Jacksonville Health Advisory Committee selected strategic health priorities based on local health data, research, and extensive community feedback. Committees were formed to address each strategic health priority included in Duval County’s CHIP. Our strategic health priorities are: Healthy Families and Healthy Babies, Healthiest Weight, Behavioral Health, and Access to Care. The Healthy Jacksonville Health Advisory Committee meets regularly to review progress and to discuss emerging challenges and opportunities. As a member of the community, we welcome your feedback and collaboration to achieve the goals established in Duval County’s CHIP. To become involved, contact Healthy Jacksonville at 904-253-1489 or HealthyJax@flhealth.gov. To protect and promote optimal health and well-being for all who live, work, learn, and play in Duval County. Duval County will become one of the healthiest communities in the nation. Quality health care and community services should be accessible and affordable to all. Efforts will be informed by evidence, science, and innovation. The local public health system will coordinate activities, share resources, and align efforts to improve community health outcomes. A healthier community will be achieved by assuring every person has the opportunity to attain their full health potential. A healthy community promotes healthy lifestyles and behaviors, provides health education, and ensures equal access to opportunities for physical activity, fresh produce, and health care. All community members have the right to live, work, learn, and play in a safe environment. DOH-Duval initiated a community health improvement process that resulted in the development of the Duval County Community Health Improvement Plan (CHIP) 2012. Critical sectors that participated in this process included local hospitals and health care organizations, local government, community based organizations, and schools. Using NACCHO’s Mobilizing for Action through Planning and Partnerships (MAPP) framework, four strategic health priorities were identified: Access to Health Services, Access to Mental Health Services, Chronic Care Management, and Enhance Communication within the Local Public Health System. The Duval County’s CHIP 2012 was revised based on community feedback, review of past accomplishments, and reprioritizing of efforts. The revisions are reflected in the Duval County CHIP Report Card 2014. DOH-Duval partnered with local hospitals conducting CHNAs to identify, evaluate, prioritize, and address community health issues. The CHNA in Duval County resulted in 8 key informant interviews, 8 focus groups, and 4 town hall meetings that provided insight on a wide range of community health issues, including barriers to accessing health services, prevalence of health conditions, and health disparities faced by the residents of Duval County. The Duval County CHIP 2012 was revised based on community feedback, review of past accomplishments, reprioritizing of efforts, and results from the CHNA conducted by local hospitals. The revisions are reflected in the Duval County CHIP 2012-2015. To address current health challenges facing Duval County, DOH-Duval began planning for a new iteration of the MAPP process. DOH-Duval initiated a new community health improvement process in 2016. Local public health system partners joined forces to develop the Duval County CHIP 2017-2019. Utilizing the MAPP framework, the planning team engaged in a comprehensive community health assessment. Results from the assessment were used to identify the following strategic health priorities: Healthy Families and Healthy Babies, Healthiest Weight, Behavioral Health, and Access to Care. The Duval County CHIP 2017-2019 was released in April 2017 and committees were formed to address each strategic health priority. The Healthy Jacksonville Health Advisory Committee meets regularly to review progress and to discuss emerging challenges and opportunities. As a living document, the Duval County CHIP 2017-2019 will be reviewed and revised annually based on ongoing assessment of the availability of resources and data, community readiness, current progress, and alignment with goals. Because where we live, work, learn, and play significantly impacts our health and well-being, a place-based approach was adopted for implementation for Duval County’s CHIP. A place-based approach to chronic disease prevention and health promotion focuses on creating healthy neighborhoods so that all residents have the opportunity to reach their full health potential. In order to identify specific neighborhoods within Duval County for targeted health improvement efforts, data was compiled and reviewed at the sub-county level (e.g., zip code and census tract). The result of this process was the identification of two neighborhoods on the Westside of Jacksonville, Hillcrest (census tract 122) and Hyde Park (census tract 126.02), as the focus of health improvement efforts and initiatives.